Taking a look at your home’s performance often spurs other discussions about renovating an outdated kitchen or bathroom. Our base of skills and experience give you plenty of options with BPP. Remodeling any room in your home can be a challenge – that’s why it’s important to work with the right home remodeling company from the start. Our area can be challenging for home renovation or construction because of the high level of code requirements, inspections, permitting and local approvals. Bathroom renovations can be a worthwhile investment in your home’s utility and value. Adding a shower or bathtub, enlarging a first-floor bath, or just freshening up the overall design with new tile, fixtures and lighting can all be great upgrades. Our team can take you from concept to completion, on schedule and on budget. We’ll also make sure that your bathroom remodel includes efficient water usage and healthy ventilation. Kitchens can be one of the most expensive rooms in any home, with the collection of appliances, cabinets, plumbing and electrical work. But the kitchen’s role as the center of family activities makes it a renovation that can be rewarding. 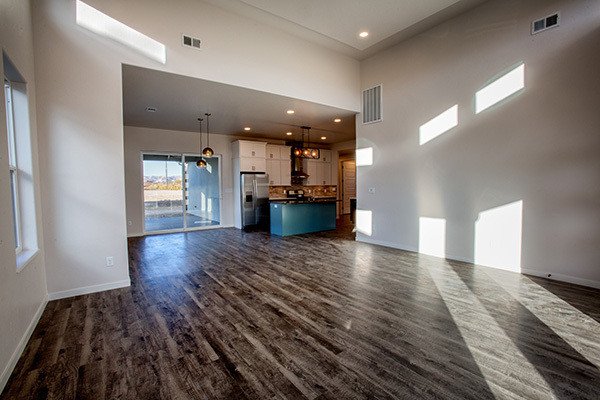 We can make this room easier to enjoy for family meals and entertaining. Home prices in the Bay Area often prohibit many families from upgrading to larger spaces. That’s why renovation in our area is a great investment in your home’s comfort and value. Renovations that encompass housing trends as well as your own needs and desires make the most sense. In particular, kitchen or bathroom remodels, along with adding bedrooms or extending other spaces within a home, all add value that can be recaptured in future sales. Kitchens: The majority of people across all age groups preferred kitchens with double sinks, “eat-in” areas and a pantry. Bathrooms: In this room, 83% of those surveyed wanted a full bath on the first floor. About three in four wanted both showers and tubs in that full bath, along with a linen closet. Renovations to these two key rooms, along with adding bedrooms or extending other spaces, all add resale value to your home! Ready to take the next step to remodel a room or two in your home? Call BPP at (925) 256-1092, or submit our online contact form. We’re happy to offer ideas, recommendations and more!